Sign I spotted outside the Bunnings at Mascot. 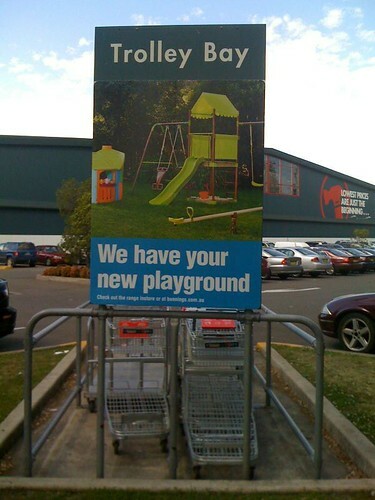 So, is the trolley bay your new playground? This entry was posted in Photos, Shopping and tagged Bunnings, hardware, Mascot, photo, shopping trolley. Bookmark the permalink.